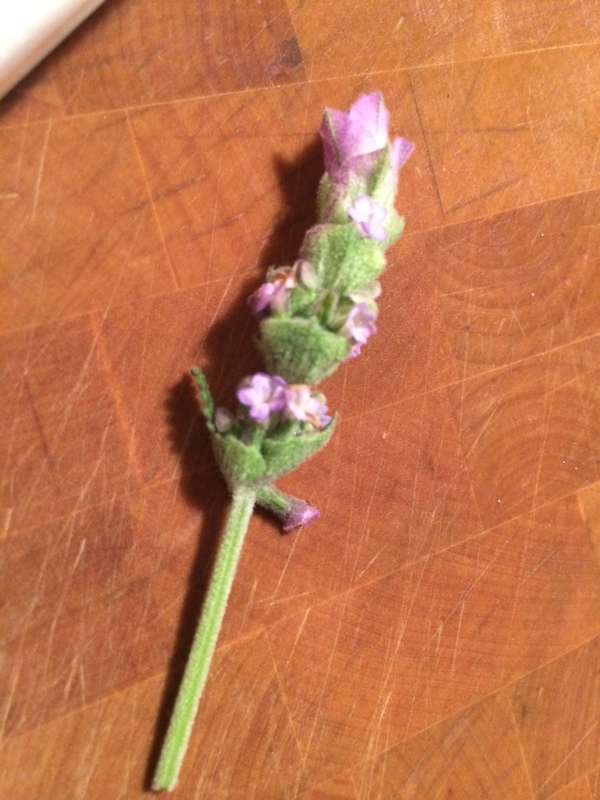 Today I was watering my flowers and herbs when it hit me, let me cut a lavender bloom, off my plant, and stick it in some sugar. So I did. 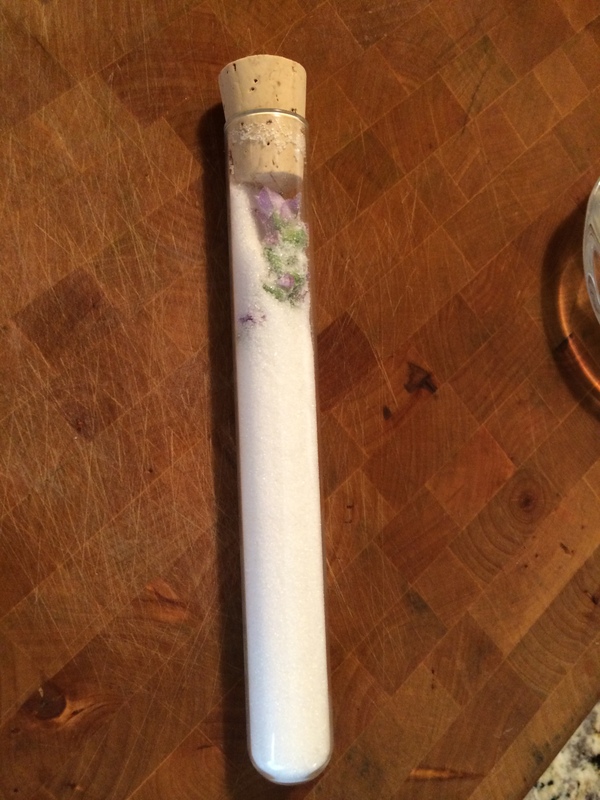 I was thinking, I might as well make vanilla sugar with a used vanilla bean pod. Low and slow is key here. The tomatoes will taste candy like and their natural sweetness will burst right through I promise. 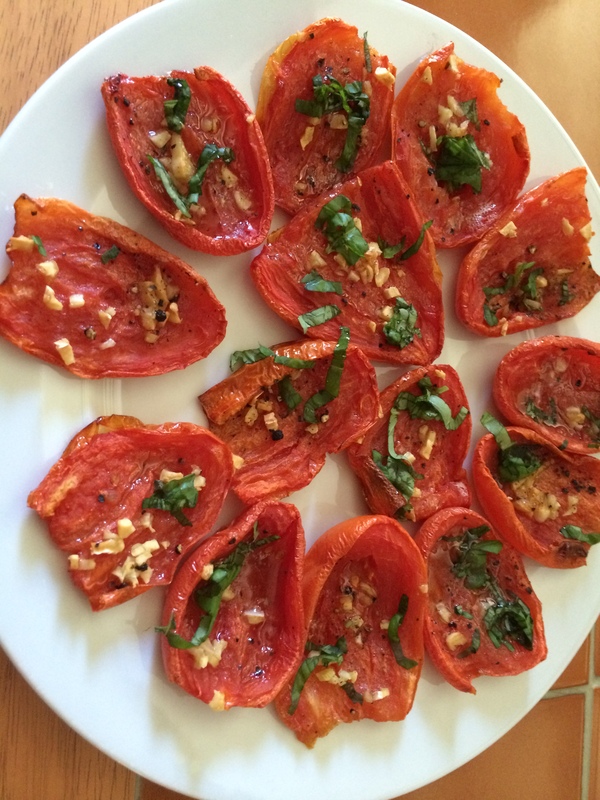 I halved the tomatoes and seeded them first. I placed them on a baking sheet, sprinkling with kosher salt, pepper, and some minced garlic. I roasted them at 325 degrees for around 45 minutes. Finally I showered them with fresh basil. If your are a tomato lover like me, and you taste one you won’t be able to stop. Roasting them in this fashion completely intensifies them like nothing else can.